Moxy is the iconic Metamystix technoshaman, a relative newcomer to DJing in the Toronto psytrance scene. Although he enjoys and plays several styles of psychedelic trance, Moxy is becoming most known for his focus on the elusive Suomi-saundi, a rare breed of free-form psychedelic dance music known for being deeply weird, ultra-funky, and doused in bubbling acid lines. He draws upon his Karelian ancestry to channel strange vibes to make the dance floor move in alien ways. 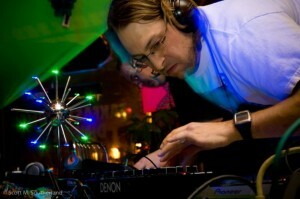 Moxy can also be heard playing full-on and progressive psytrance when the mood strikes him. Moxy is the bomb! Definitely knows his way around the Psytrance scene! Any MoxyMixes available for download?